Our relationship with Brad Paisley goes back to a time way before his signature Paisley Drive. 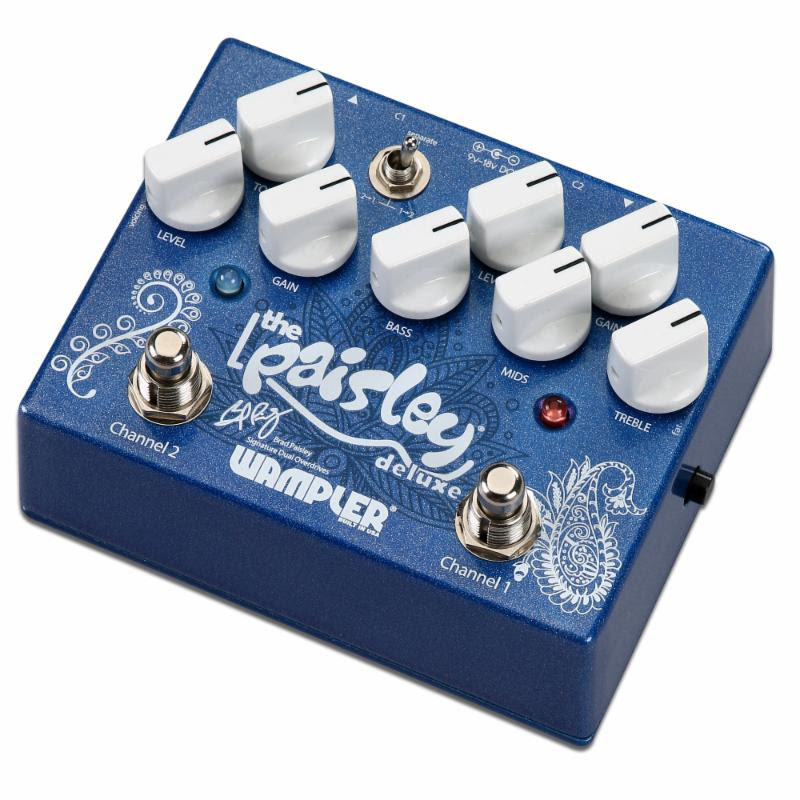 In fact, thanks to the way it produced similar tones to the lauded Nobels ODR-S with more control for fine-tuning his sound, the first Wampler pedal Brad fell in love with was our since-discontinued Underdog overdrive. 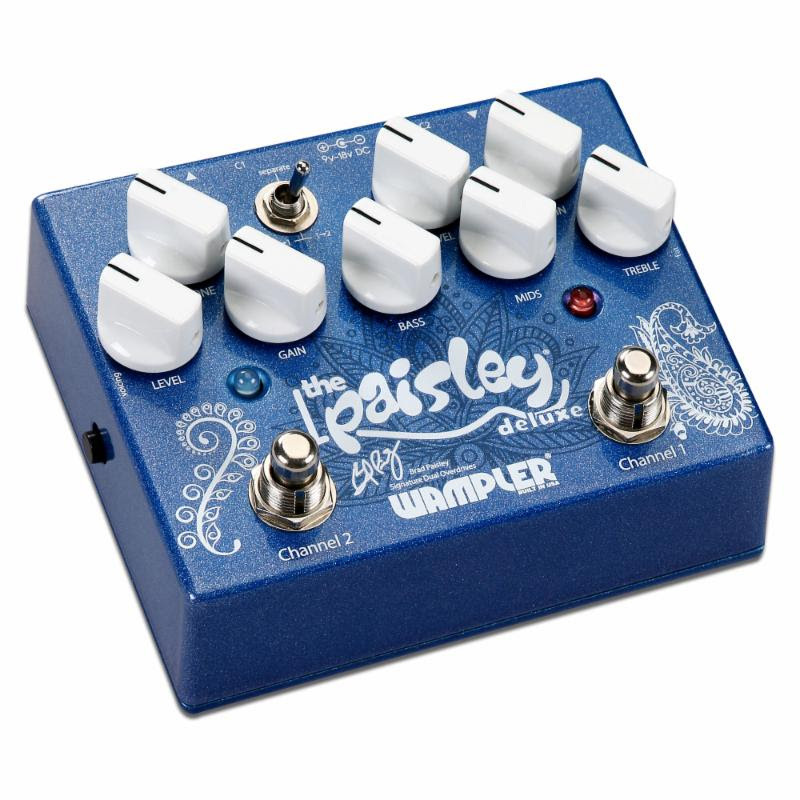 It's with this in mind that we combined Brad's two favorite Wampler tones in our Paisley Deluxe dual overdrive pedal. By cramming a Paisley Drive and our Underdog circuits into a single pedal, we believe that we are able to offer the ultimate Brad Paisley pedal. Not only do you have independent access to both tones, but you are able to stack them for more harmonically rich drive in any order you want. And taking a cue from our popular Tom Quayle signature Dual Fusion's groundbreaking signal routing, you're able to run each side of the Paisley Deluxe as an individual pedal, perfect for today's pedal switcher-based rigs. 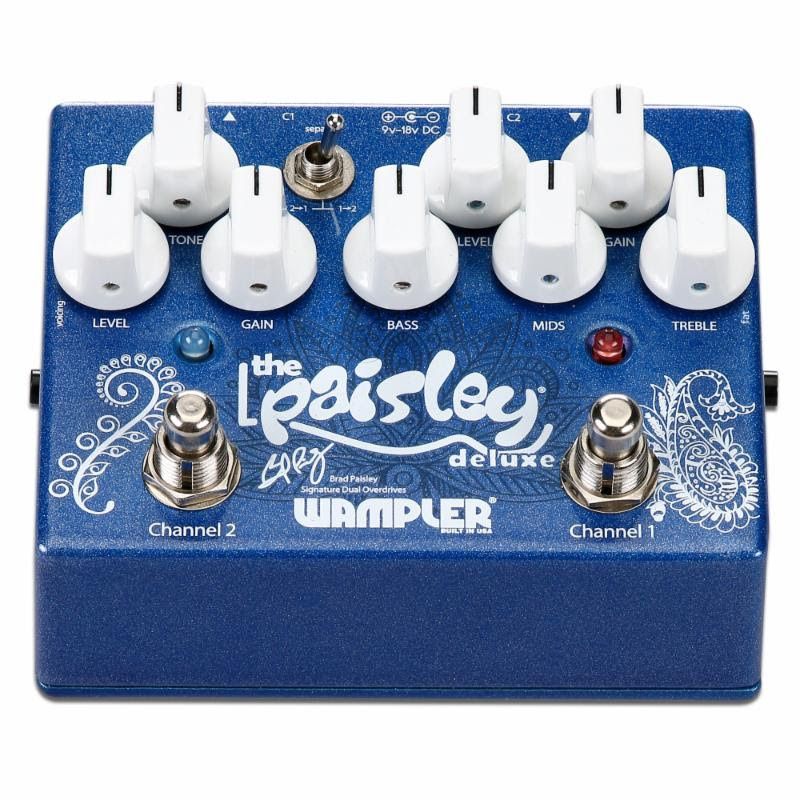 Whether you're looking to nail Brad's gorgeous signature tones or are looking for a great-sounding overdrive with unbelievable flexibility, you can't go wrong with the Wampler Paisley Drive Deluxe. There's been a lot of demand for our long-since-discontinued Underdog overdrive pedal. And a lot of that demand comes from Brad Paisley. So to improve upon his already great-sounding Paisley Drive, we’re giving you access to the Underdog's Nobels-like grit right alongside Brad's signature tone. To integrate with today's super-powerful pedal switchers and MIDI-based rigs, we outfitted the Paisley Drive Deluxe with the ability to route your signal to each channel individually. With a simple stomp of your programmed switcher, you're able to pull up either channel or a blend of both. It truly is like having two Brad Paisley-approved overdrive pedals in one box. Brian Wampler’s attention to detail and commitment to designing the best and most player-friendly products out there are second to none. Those qualities are on full display within the Paisley Deluxe. 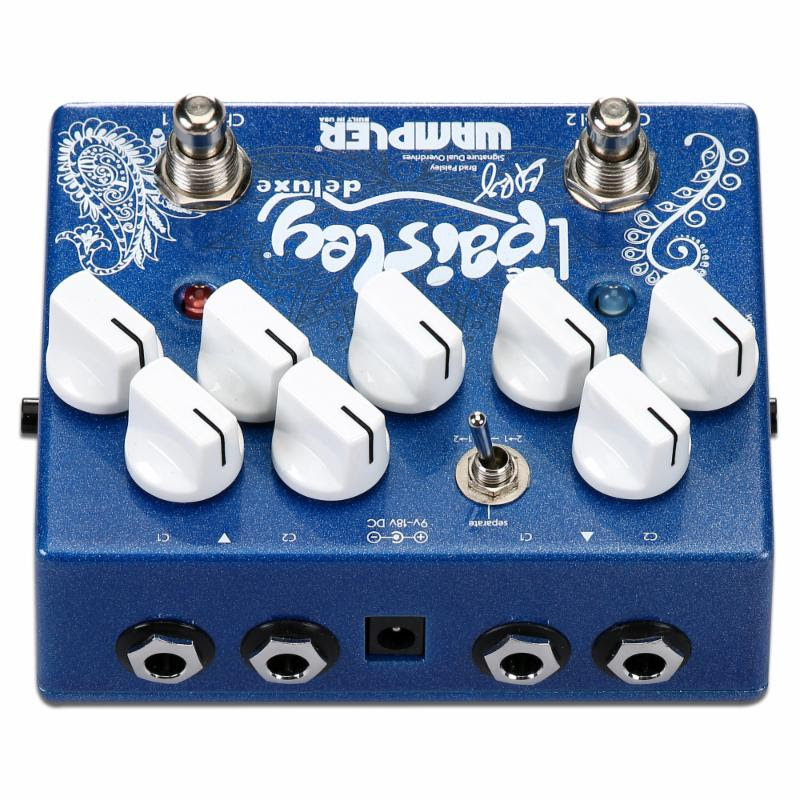 From its convenient top-mounted jacks to its amazingly flexible switching, the Paisley Drive Deluxe dual overdrive pedal is every bit a Wampler. • Fat switch on Channel 1 gives the signal a slight gain boost along with more low-mid content giving a much fatter/fuller tone.